A couple of weeks ago, I shared a recipe for Caramel Apple Cider with Cinnamon Whipped Cream. 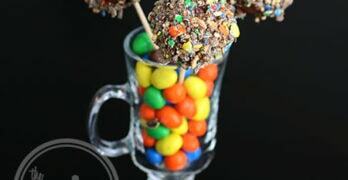 This is a great and easy recipe for making a gourmet, delicious apple cider. But sometimes I want something that’s a lot faster to make, and in those cases, I make this super easy instant Apple Spiced Cider. It doesn't get much easier than instant. Add hot water and brew the apple cider according to instructions. Add ¾-1 Tbsp Starbucks Cinnamon Dolce Syrup. More for more spice. Less for less spice. You can buy the Alpine Spiced Cider Apple Flavor Drink Mix online on Amazon and the Starbucks Cinnamon Dolce Syrup online at Starbucks or from your local Starbucks store. and Alpine Sugar-Free Spiced Apple Cider. 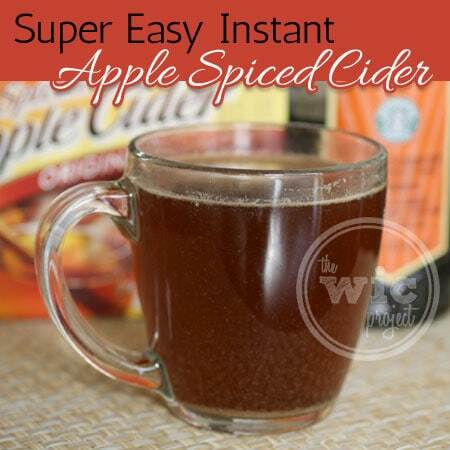 I’ve been using the Alpine Spiced Cider for a few years as a nice “instant” apple cider mix. While I liked it, there was something missing…that extra bit of oomph or spice flavor that I often look for in a spiced cider. Then I recalled how much I like Starbucks’s Caramel Apple Spice. Do you know what Starbucks uses to add the “spice” to their Caramel Apple Spice? If you guessed “their Cinnamon Dolce Syrup” then you get a virtual gold star. If it was good enough for Starbucks, I wondered how it would work with my instant cider mix. Just add a few pumps (about 3/4-1 Tbsp) of the Cinnamon Dolce Syrup to the cider and bah-da-bing, bah-da-boom – Super Easy Instant Apple Spiced Cider that has a lovely cinnamon spice flavor without any simmering or brewing. Thanks for the recipe! We love Hot apple cider in our home.It is so good in the fall,and during the winter.I will pick up a bottle of Starbucks Cinnamon Dolce Syrup when I get out to their store. That sounds amazing. I love hot drinks that I can drink right before bed.